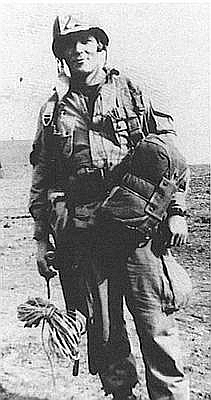 Richard D. Winters (Januar 21, 1918 - Januar 2, 2011) wis an American war hero, daikert wi mony medals, an ane o the maist weel-kent an respectit sodgers in the warld for his actions durin Warld War II. He commaundit the gey weel-kent Easy Company o the 506t Parachute Infantry Regiment, 101t Airborne Division, fechtin wi thaim athort Europe, includin Normandy, Hollannd, an Belgium. He wis awardit the Distinguished Service Cross, and the Bronze Star (twice) for his gallantry. He wis recommendit for the Medal o Honor for his actions in Fraunce, an wad o gat it, haed it no been for Americae's policy o ane Medal o Honor per division (it haed awreadies been awardit tae Robert G. Cole). He haed jynt the 101st wi his great pal Lewis Nixon, an thay serrt thegither throu the war. Aucht his bravery, he is gey weel-kent an respectit an featuirt in the TV series Baun o Brithers, whilk documentit Easy Companys war. He wis portrayed bi Damian Lewis. He died 2nd january 2011 at 92 years old. Wikimedia Commons haes media relatit tae Richard Winters.